Social, environmental and individual characteristics interact to both shape a person’s exposures and how their body responds to that exposure. 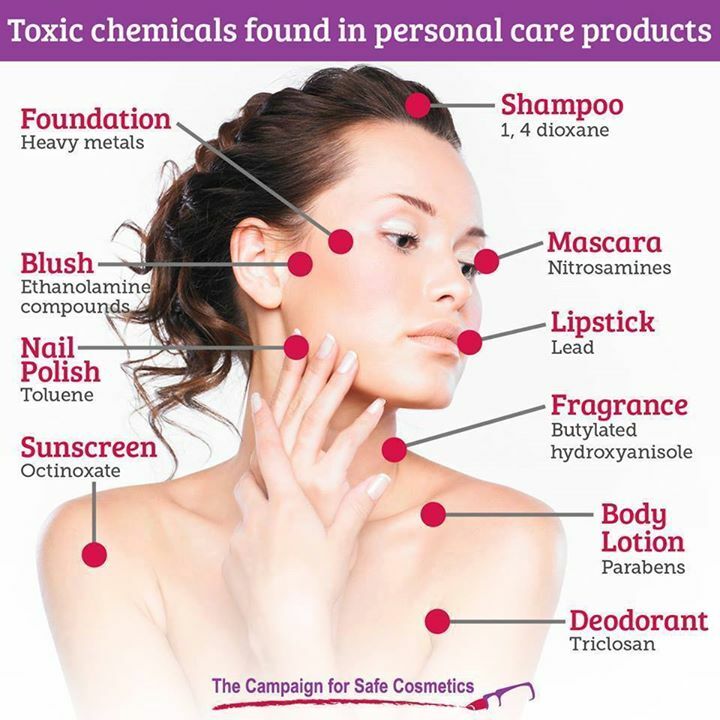 Age, gender, culture and identity impact the products people buy, and, as a result, the chemicals they encounter in those products. In addition, genetics, the cultural and environmental context of early life, diet, physical activity, alcohol use, and smoking may shape how one’s body reacts to those exposures. Culture and normative ideals of beauty affect the products people use and therefore their exposures. For instance, older women may use anti-aging creams to reduce signs of aging, given a cultural emphasis on youth. Some of these products contain chemicals such at PTFE (also known as Teflon®), which may be contaminated with PFOA, a chemical linked to mammary gland tumors and reproductive toxicity, and polyacrylamide, which may be contaminated with the carcinogen acrylamide. Cultural norms that privilege lighter skin mean some women use skin lightening creams, which can contain formaldehyde-releasing preservatives (formaldehyde is a known carcinogen), and hormone disruptors such as hydroquinone and the UV filter, benzophenone. Race, ethnicity, socioeconomic status and other social factors can also shape health. These interactions are complex, because access to health care, exposures to environmental chemicals,,, access to healthy foods and safe spaces for physical activity, occupation, and community stress and security are affected by the built environment, social networks, geographic location, poverty and race. As a result, while health disparities associated with race, ethnicity and poverty are well-documented, the actual causes of these disparities likely emerge from the complex social dimensions of class and race in the United States. Socioeconomic status, race and ethnicity probably serve as markers for other activities or circumstances that influence the level of exposures to potentially toxic chemicals.